The idea of virtual currency may seem like science fiction, but in reality, Bitcoin is rising in popularity as a legitimate form of payment. Big tax deductions for charitable giving, and a rise in Bitcoin value, meant an extra holiday bonus for some nonprofits and charities last year. In December 2017, charitable Bitcoin holders donated $22 million to Fidelity Charitable as donor-advised funds that can be used for making grants to charities. Cryptocurrency is the term given to digital money which can only be unlocked using cryptography. It's not cash that you can hold in your hand; it purely exists on the digital plane. 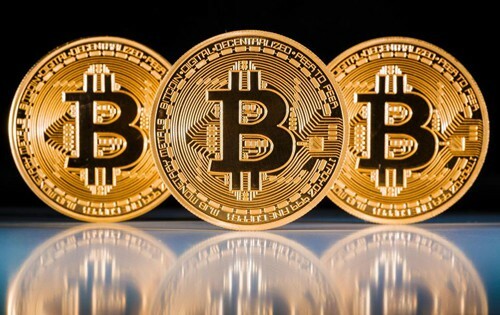 Bitcoin is the most popular form of cryptocurrency, although smaller ones are entering the market! At this point, it's not a widely spread form of payment, but Bitcoin transferral machines are beginning to pop up in major cities, and some businesses are getting ahead of the trend by accepting Bitcoins online for goods and services. Yes! Cryptocurrencies are 100% legal to use for transactions that accept them, and that means your charity can definitely accept Bitcoin donations as well. Also, be sure to reassure your Bitcoin donors that they can get a tax receipt - in fact, tax deductions are a huge reason why so many people choose to use Bitcoin for their charitable giving. How can a charity get a Bitcoin account to accept donations? You'll need to set up a Bitcoin account through their official site, and it's a pretty easy process: simply choose which kind of virtual wallet you want to use (for many charities, that would be Web or Desktop) and follow the instructions. People can donate anonymously to your charity simply by transferring their chosen amount to your Bitcoin number. You can list your static wallet number on your "Donate Now" page - or even post a QR code for easy scanning! - and donors can directly move Bitcoin from their accounts to yours. At any point your organization can choose to convert your Bitcoin to regular currency. You can deposit it into your organization's bank account at the current rate for your choice of currency. Take a look at how The Water Project does it, for example: Not only do they provide a number of ways to donate Bitcoin, but they also have an app that shows donors how their Bitcoin has helped the cause. Additionally, The Water Project is the lead charity partner of the BitGive Donation Transparency Platform, which will be a Bitcoin-powered platform that will allow charities to accept international payments. Definitely something to keep an eye on! Do we need to deal with charge-backs? Nope! The money is yours once transferred. No charge-backs eliminates some of your administrative headaches. Your donors can also choose to give anonymously if they don't wish to receive a tax receipt or recognition for their gift. It's as simple as that. If you're looking for a fundraising resolution for 2018, you may want to think about getting in on all the donations being transferred through Bitcoin - it could be an untapped resource for your charity to raise even more funds in the new year. Having an option for Bitcoin means your organization can reach donors like this anonymous individual who is giving away $86 million in Bitcoin. After all, like the old fundraising adage says: The more options you give donors to give, the more donations you raise!